That is plain old, brush on rustoleum. Satin black. You can't see any brush marks. I decided to use this instead of powder coat or pors and epoxy frame paint because it's the easy to repair if it gets scratched. Just scuff it up slap on more paint and its good to go. Thanks for the information. How did you clean the frame ? What for primer did you use on the frame before you painted it ? 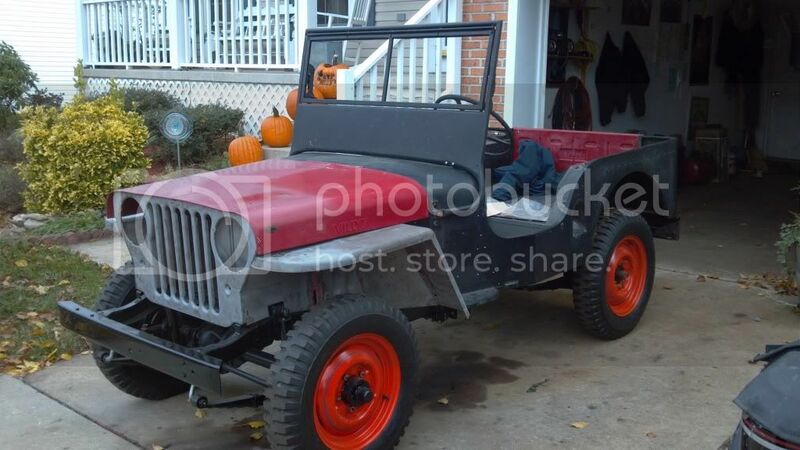 I am going to do a frame for my CJ -7. that is why I am asking these questions. Thanks again. I steam cleaned it first, than used a wire wheel on a hand held grinder. Sand blasted the joints, seams and hard too get too spots. Wiped it down with metal prep than used a self etching primer than paint. 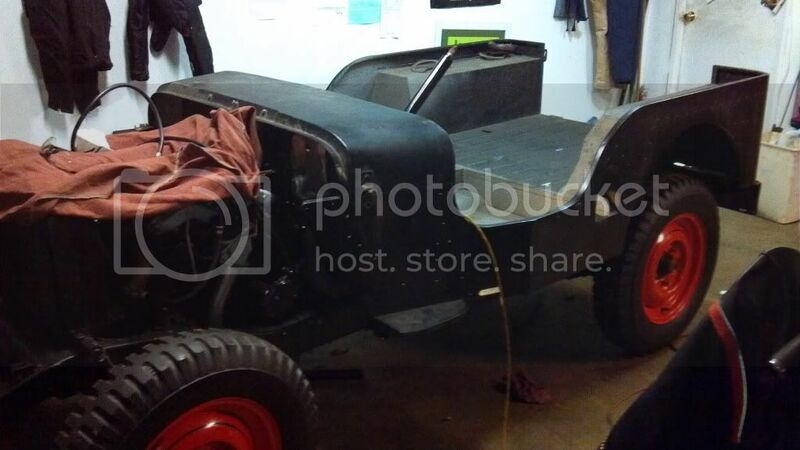 Well no pics yet , but the rolling chassis is only a couple wires away from starting and driving.Once I know everything works The tub will be going on for final mock up and body work. Than the tub will be taken off again and get painted. Well finally will update with pics. I dont have many tech pics of this build. I just dont pause to take any.It's just progress stuff. I just looked through and Jenn deleted all the pics, so I will start from the beginning. and this it where it it now. lots left to do before paint. This is a video of it running for the first time since reassembly. Walacks Is the main vendor we dealt with.